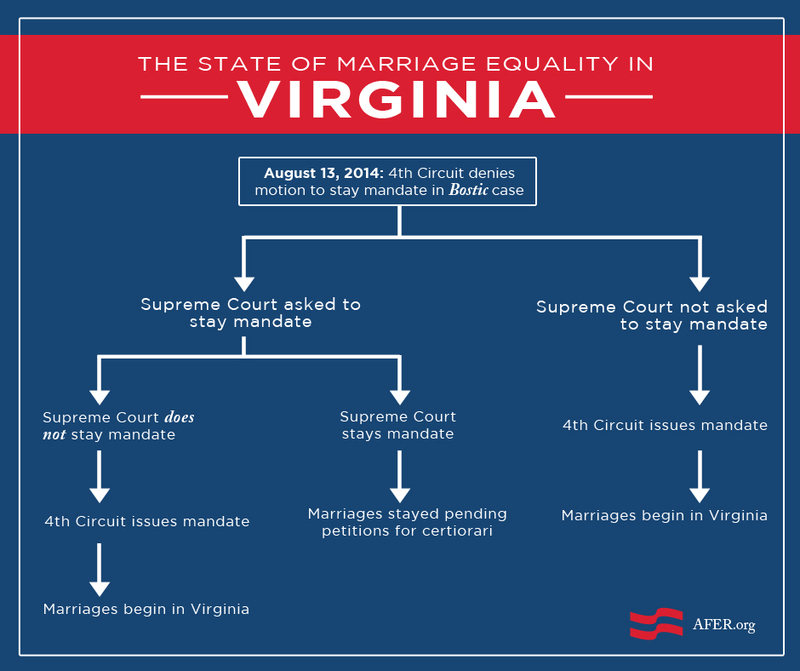 On Thursday, August 14, 2014, Prince William County clerk of court Michele McQuigg, a defendant in AFER’s Bostic case, filed an emergency petition with the United States Supreme Court asking that the 4th Circuit Court’s decision, that found Virginia’s marriage ban unconstitutional, be stayed. Chief Justice John Roberts, the Supreme Court justice responsible for emergency requests made within the 4th Circuit, asked on Friday morning that the Bostic plaintiffs respond to the clerk’s petition. Clerk McQuigg has asked the Supreme Court to stay the mandate. What happens next? The plaintiffs have until Monday, August 18 at 5pm ET to file that document, and then Chief Justice Roberts will have until Thursday morning, August 21, at 8am to make his decision regarding the stay request. 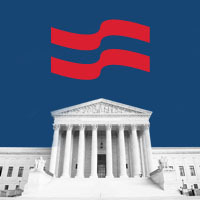 In the event that the Supreme Court does not issue a stay, the 4th Circuit Court of Appeals will issue a mandate by Thursday morning, and marriages will begin in Virginia immediately thereafter. It is noted in Clerk McQuigg’s filing that Virginia Attorney General Mark Herring agrees a stay should be implemented until the Supreme Court decides whether or not it will review the Bostic case and decide on marriage equality once and for all. Herring, on behalf of State Registrar of Vital Records Janet Rainey, filed that request on August 8, 2014.